For the past three months, I’ve been riding the Priority Bicycles Continuum, a commuter bike outfitted with a handful of low-maintenance components and a drivetrain system with an “infinite” number of gears. It’s been an absolute joy to ride and has regularly shaved about 15 minutes off my hour-long trips around Brooklyn and Manhattan. Besides being low maintenance mechanical wonder this thing moves seriously fast. The Continuum gets its name from the continuously variable transmission (CVT) hub located on the rear wheel that gives the bike a spectrum of gears rather than a fixed number. This style of hub gave me a much smoother ride than a derailleur system, since the drivetrain components weren’t brashly jumping between fixed gears on different sprockets but instead smoothly moving over the surface of rotating balls. The Continuum isn’t the first vehicle to use a planetary gearing. It’s also used in the transmissions of electric cars like the Toyota Prius or Tesla Model S. The concept of this gearing system dates all the way back to ancient Greece, but when used in commercially available bikes, they’ve usually cost thousands of dollars. Now, it’s finally in a bike you can actually afford. The balls, called planets, are on the inside the hub. When you crank the shifter on the handlebars, it tilts the axis of the balls inside the hub and changes their point of contact with the outer rings. This varies the speed ratio, or resistance you feel while you’re pedaling. 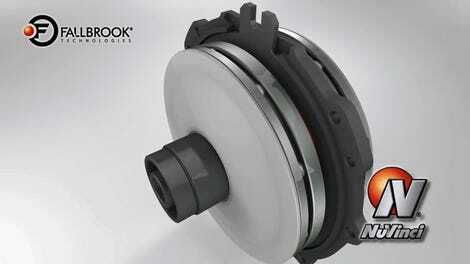 It also eliminates the need for clanking sprockets you’d see on the back wheel of a standard bike. The first thing I noticed once I hopped on the Continuum is the little man on the shifter going up a hill. When you turn the shifter the indicator shows the man going up a steeper hill and means you’re in an easier setting. Flatten the hill and you’re riding with more resistance on the pedals, great for zooming along straightaways. You’d think that you might feel a click when you crank the shifter or some other type of feedback to indicate it’s working, but it’s actually super quiet and really smooth. It’s easy to get comfortable using the bike quickly because the gear system is so straightforward. The best part is I didn’t have to worry about shifting while I pedal. The chain isn’t gonna jump the gearing system if I try to shift while climbing a steep hill. And there’s an insanely steep hill in Brooklyn I have to climb up to get to my friend’s house and across the major bridges. The hill starts at a red light, and I typically want to shift to an easier setting when I come to a complete stop (something you can’t do with a chain derailleur). Standard bikes run the risk of chain derailment at the hill. It’s also one of the more dangerous areas in all of Brooklyn to ride so I approach it with extreme caution. It’s not a place I ever want to worry about my bike’s components. Riding on the Continuum, the thought of component failure never crosses my mind. During my entire ride, I’m completely focused on my level of comfort and whether my legs are getting tired. It’s amazing what this will do for the overall speed of your trip. I started taking the fastest possible route more often—regardless of how steep the hills might be—and focused my attention on the road. The whole “low-maintenance” mantra of the gear system extends to almost every component on the bike. Like the belt drive system. It is by no means a brand new innovation, but they are still relatively uncommon in the United States (despite being extremely popular in Europe). Instead of a greasy metal chain the system uses a rubber belt that is fixed to the real wheel cog and chain wheel—so it never moves. It literally just sits in the same place at all times. This means fewer moving parts and one less thing to worry about. Gates, the maker of the belt drive, claims it lasts about 10 times longer than metal chains, and it’s easy to imagine after a few months using it. The drivetrain has shown no signs of significant wear even after riding through rain and snow. It’s rust-proof, never needs grease, and most importantly, provides a smoother ride because it’s not rattling like a goddamn metal chain would. The belt drive alone has changed my life, and now that I’ve used one, I’m never ever going back to using a bike with a metal chain. I can’t emphasize how much smoother the ride is and the immense benefit of getting rid of the chain derailleur. Priority Bicycles made its name by lowering the cost of the belt drive system in the US. When the company launched in 2014 with its first “maintenance-free” bike for just a few hundred bucks, it quickly became wildly successful Kickstarter project. The problem with the original bike was that it was too lightweight and didn’t have enough gears for long-distance commuting. That brings us to the biggest and most important question: is the Continuum worth its steep $900 price tag? From a purely economical standpoint, it is. You’re not going to find a better combination of these parts for this cheap because they were hand-sourced from an obsessive mechanic (Priority Bikes founder David Weiner) who has spent his entire career in the bike industry. That being said, $900 is a lot of money for casual riders. It’s safe to say a large majority of people would be better off getting a bike half as fast at half the price. When I’m running errands, I typically don’t use the Continuum. I stick to riding a recreational bike with fewer gears and cheaper parts. But for those times when I need do something like the ride from Brooklyn to Manhattan, I jump on the Continuum. I have yet to ride a bike as fast, and I’m certain I’d have to spend more than $1,000 to find something that can perform nearly as well. 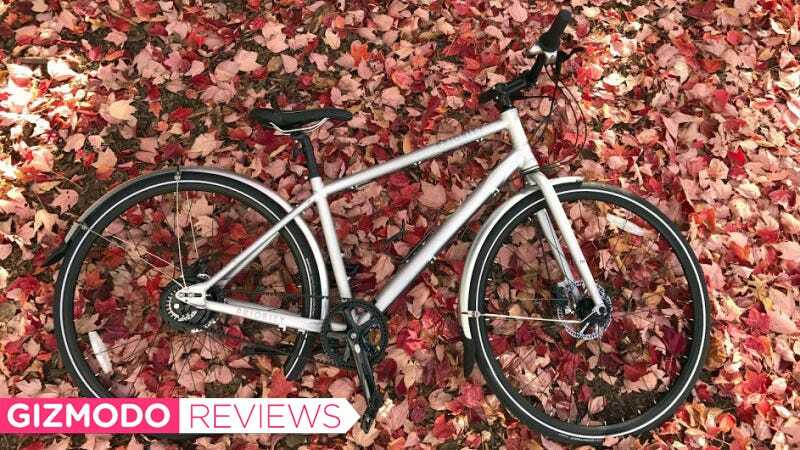 The Continuum is in an awkward middle ground between recreational and professional touring bikes—but for a frequent commuter like me it hits the sweet spot. The CVT hub’s infinite gears makes going uphill ridiculously comfortable. I expend less energy and move significantly faster. The belt drive will change your life. I’m never going back to a metal chain. Puncture resistant tires means I’ve never had to worry about potholes or broken glass on the road. The $900 price tag is steep for anyone and should really only be a consideration for serious commuters that want a fast, durable bike. The CVT hub adds a lot weight to the bike. At about 20 pounds, I would not recommend this bike for anyone with a walk-up apartment.